10 easy, creative and fun origami projects for all folders, including kids and beginners. The book contains 24 full color pages filled with 10 original origami models and easy to follow diagrams and inspirational photos from folders all around the world. Amazon.com - Price: $9.99 - Free shipping - International shipping available. Amazon.co.uk - Price: £7.49 - Free UK & Ireland delivery on book orders over £10. Origami for Halloween paperback - Order from CreateSpace in the US - Price: $9.99 - Shipping to the US: $3.59 - International shipping available. 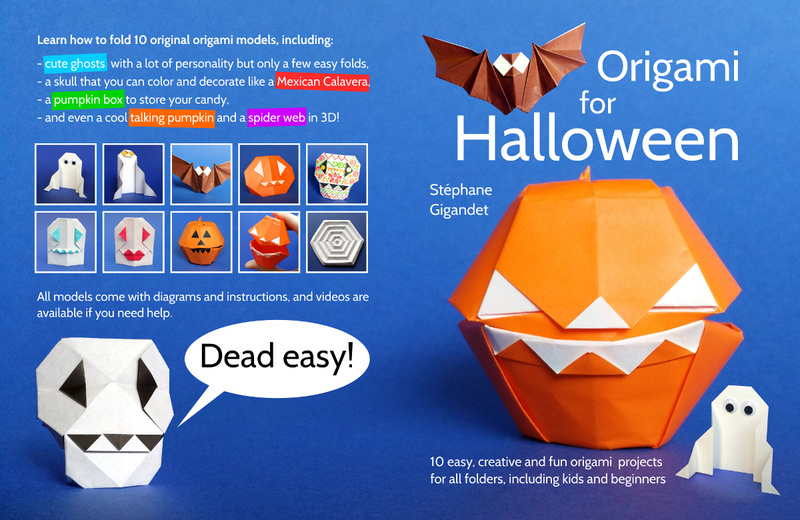 Origami for Halloween eBook - Origami Shop - Price: 5.50 euros. Translations to Spanish, German and Czech available soon. Dutch, Italian and Portuguese in progress. If you would like to translate the book to other languages, please let me know!